LONDON, June 17, 2013 – Warner Bros. Pictures’ and Legendary Pictures’ “Man of Steel” has opened to a stellar opening of £11.2 million in the UK and Ireland, marking the biggest opening day of 2013 and the second biggest opening weekend of the year. The announcement was made today by Josh Berger, President and Managing Director, Warner Bros. UK and Ireland. From Warner Bros. Pictures and Legendary Pictures comes Man of Steel, starring Henry Cavill in the role of Clark Kent/Kal-El under the direction of Zack Snyder. The film also stars four-time Oscar® nominee Amy Adams (The Master), Oscar® nominee Michael Shannon (Revolutionary Road), Academy Award® winner Kevin Costner (Dances with Wolves), Oscar® nominee Diane Lane (Unfaithful), Oscar® nominee Laurence Fishburne (What’s Love Got to Do with It), Antje Traue, Ayelet Zurer, Christopher Meloni, and Academy Award® winner Russell Crowe (Gladiator). 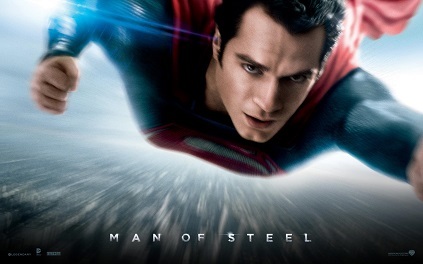 Man of Steel is produced by Charles Roven, Christopher Nolan, Emma Thomas and Deborah Snyder. The screenplay was written by David S. Goyer from a story by Goyer & Nolan, based upon Superman characters created by Jerry Siegel & Joe Shuster and published by DC Entertainment. Thomas Tull, Lloyd Phillips and Jon Peters served as executive producers. Zack Snyder’s behind-the-scenes team included director of photography Amir Mokri, production designer Alex McDowell, editor David Brenner, and multiple Academy Award®-winning costume designer James Acheson (Restoration) and costume designer Michael Wilkinson. The music is by Academy Award®-winning composer Hans Zimmer (The Lion King).